As we all know the Olympics jamboree hits London next summer and some of the athletes carrying the biggest expectation for medals will be the cyclists. They will be battling it out in the gladiatorial velodrome which will be the best atmosphere and venue of the games (pity I failed in my bids for tickets). Any of us who have ever played any competitive sport at whatever level know that the old adage ‘fail to prepare then prepare to fail’ rings true which is encapsulated in the theory that you need to put in 10,000 hours of practice to become an expert in a chosen field. I was reminded of this in the excellent article looking at life in the British Cycling Olympic Boot Camp which is accompanied by a lovely photo montage of what one of the riders calls a Day of Doom. 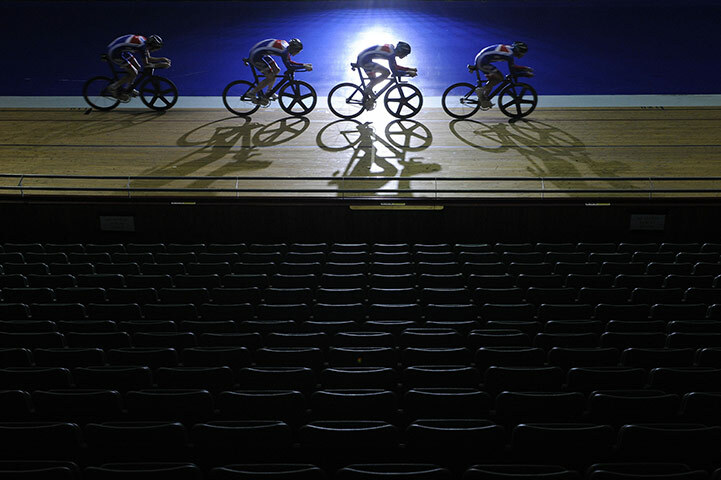 At the end of each day, each rider will have clocked up around 70 miles of intense riding round the empty Manchester velodrome which provides an almost ghost like setting, devoid as it is of any spectators. How different it will be come the racing in London and should the cyclists prevail, then amongst all the hype, let us remember their dedication.